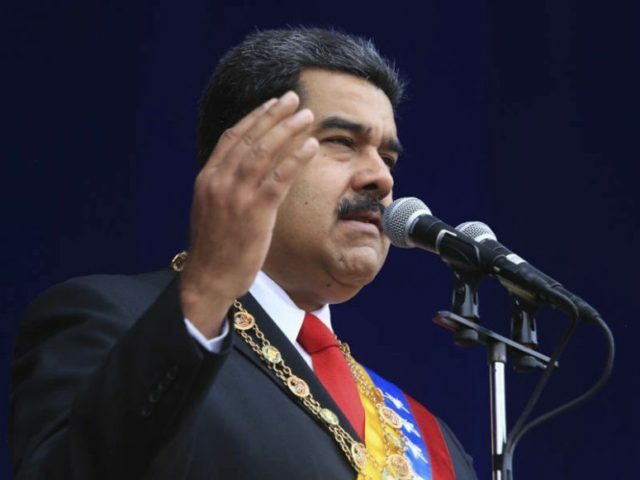 The United States and Israel are reportedly investigating a Colombian businessman linked to Venezuelan dictator Nicolás Maduro for allegedly providing financial support to Hezbollah, Colombia’s El Tiempo newspaper revealed on Wednesday. Law enforcement groups and NGOs have documented Hezbollah’s heavy involvement in money laundering and drug trafficking activities across the Western Hemisphere. Hezbollah is widely considered a proxy terrorist group for the Iranian government. El Tiempo made the revelation on Wednesday, a day after U.S. Attorney General listed Hezbollah as one of the “most dangerous transnational criminal organizations on the face of the Earth” along with Mexican drug cartels and MS-13. U.S authorities have determined that the Shiite terrorist group Hezbollah maintains an operational presence in Latin America and the United States. El Tiempo described the businessman Alex Saab as “a designated figurehead of Venezuelan President Nicolás Maduro,” noting that American and Israeli authorities are investigating him for allegedly laundering around $8 million. While the governments of [U.S. President Donald] Trump and [Israeli Prime Minister Benjamin] Netanyahu are interested in Saab’s nexus with the Venezuelan leader and the multi-million dollar money laundering operation, the millionaire operation of the ford, the driving force behind the international investigation is the alleged financing of the terrorist group Hezbollah. Colombia has also reportedly opened an investigation against Saab. The U.S. military has long warned against the presence of state-sponsor of terrorism Iran and its proxy Hezbollah in Latin America. In November 2017, Rep. Robert Pittenger (R-NC), the chairman of the Congressional Task Force on Terrorism and Unconventional Warfare, told Breitbart News Hezbollah have teamed up with “violent drug lords” in Latin America to raise money to fund their nefarious activities, posing a “grave threat” to U.S. national security. Russell Travers, the director of the National Counterterrorism Center (NCTC), a component of Office of the Director of National Intelligence (ODNI), recently identified Hezbollah as a top threat facing the U.S. homeland. Echoing other experts, Brian Katulis, a former member of the White House National Security Council under President Bill Clinton and current senior fellow at the Center for American Progress (CAP), told lawmakers in April that Hezbollah has likely already established “sleeper cells” inside the United States.